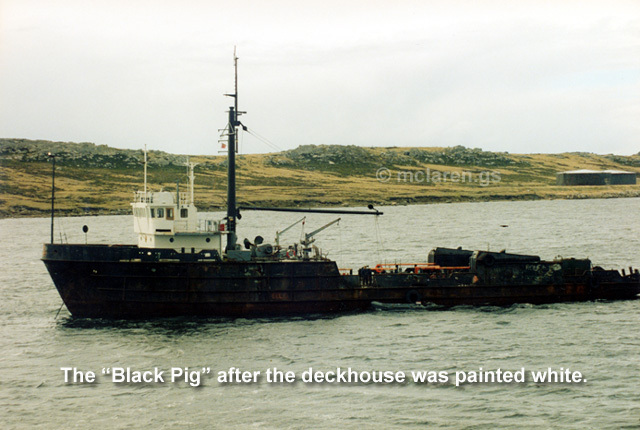 The Black Pig was a vessel named “Yehuin” and was an old supply boat, ex OSA vessel “Millerntor”, used as an oil tender by the Argentine navy. 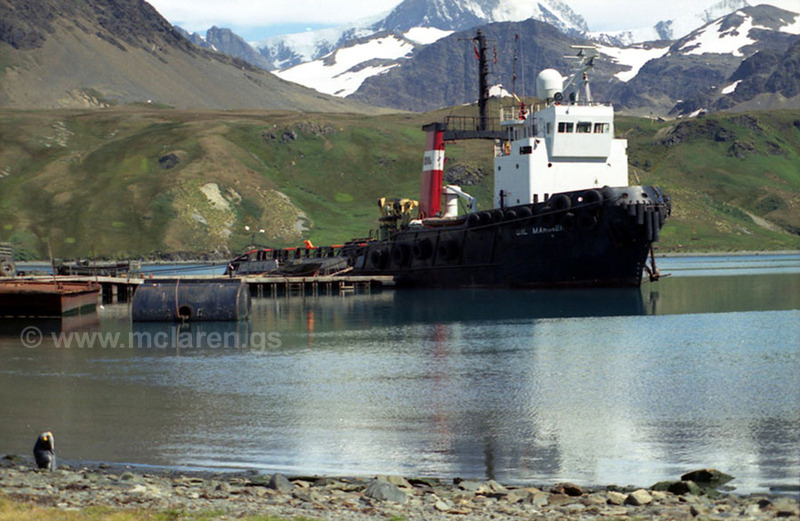 The vessel was left in Stanley Harbour after the Argentine surrender in 1982. She became known locally as "The Black Pig" because of her unusual (all black) paint scheme. She was owned locally for a brief period and if my memory serves me right, was renamed "Scotia Enterprise". After being sold to a Spanish company she was renamed "Audax II". When she berthed in Buenos Aires, she was seized as part of the country's naval heritage. An introduction to the work for Oil Mariner in South Georgia. As an Engineer in the Merchant Navy, my work had taken me to many interesting places worldwide, from the Middle East to Mexico. After four years in West Africa (three in Angola) I was given the opportunity to take up a position as Chief Engineer on a ship based in the Falklands. Little was I to know that I would exchange the heat of Africa for the cold of the edge of Antarctica for eleven years. Comfort was not a word that came to mind on some of the trips to South Georgia from the Falklands. The Oil Mariner was a good "sea boat" with a following sea, but very lively and "lumpy" ploughing into it. One season we went to the island in a force eight Easterly gale and came back in a force eight Westerly! Another season we went in a force eight gale, but the sea was like a mill pond for our return. One of the most pleasant trips we had was in the middle of Winter! 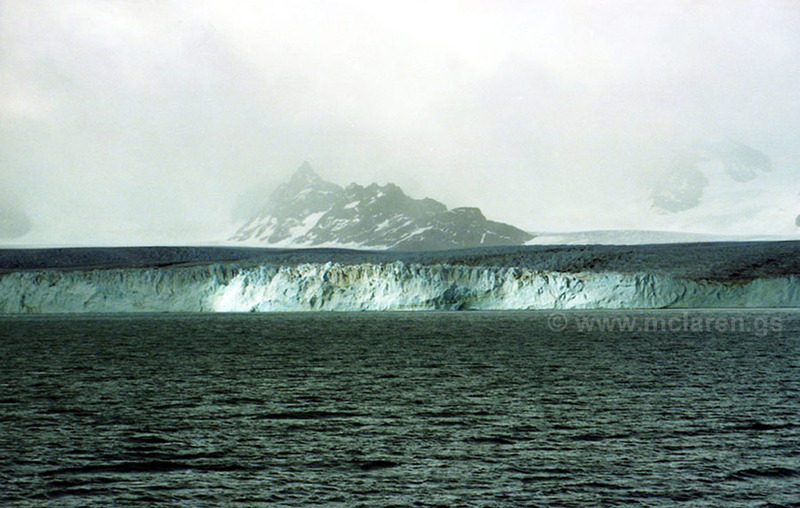 The images were grabbed from video on one of our trips from the Falklands to South Georgia. 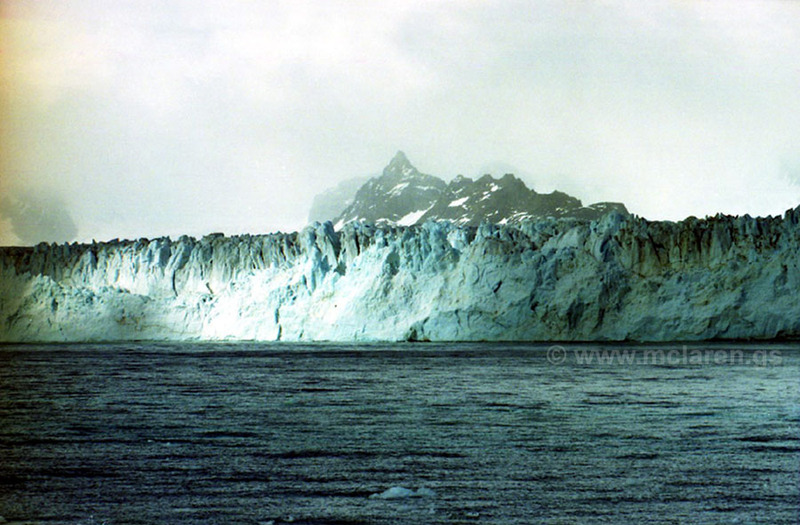 The sea was very rough, and there was a huge iceberg that looked like a land mass on the radar. The deck cargo is unloaded at King Edward Point, and we can start working on the moorings now. Oil Mariner alongside at King Edward Point. The "Oil Mariner" has been called "The Black Pig" on other web sites, but this is totally erroneous. 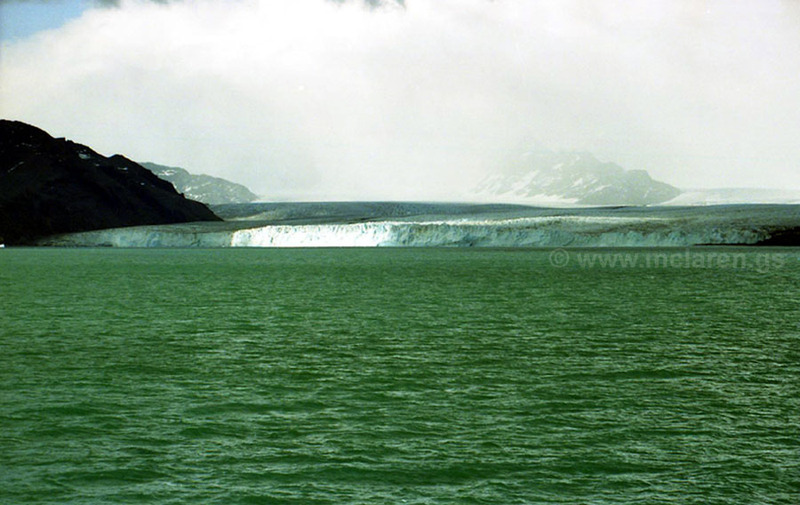 From a distance the glacier appears quite smooth. 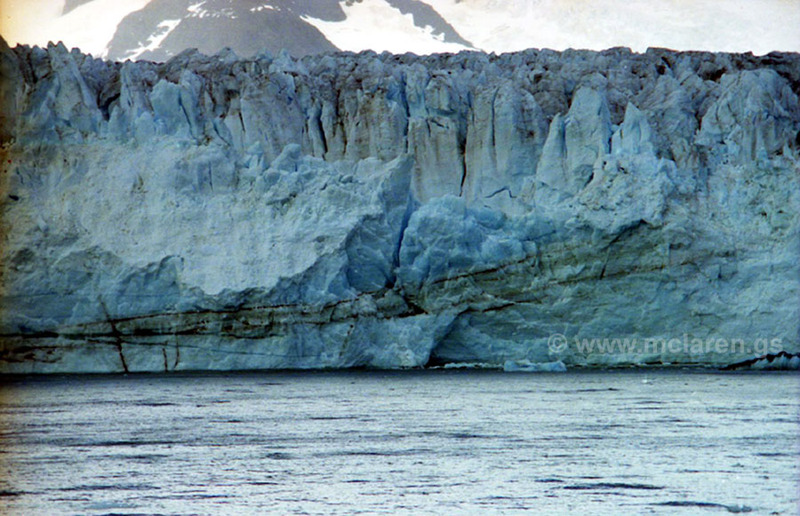 Moving in closer, the glacier starts to take on a rougher appearance. Even closer, and there is a raw beauty. Close up the true appearance is revealed.